Here's another softie I finished just yesterday. 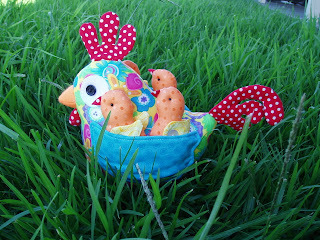 Her name is Clucky and she is a Melly & Me design. I do love her is these bright fabrics. I think they really suit her. I think the lawn needs cutting though - I could loose her chicks in there it's that long! We've had so much rain lately that the grass has gone mad. You cut it and it seems to grow overnight - it's hard to keep up with it. Here are a few other things I've made recently. 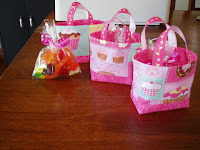 These lolly bags are a great idea and so I just had to make up a few. I thought I'd make some more for our Christmas Stall at school. 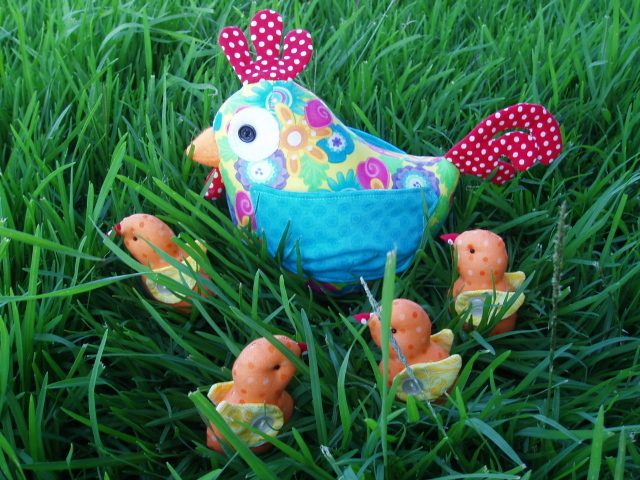 They make great little gifts for those little and not so little people! Also would make great party bags for kids parties. They are a designed by Monica Solorio-Snow from Happy Zombie. You can find the pattern HERE. These are some more of my Christmas Birds I made too. 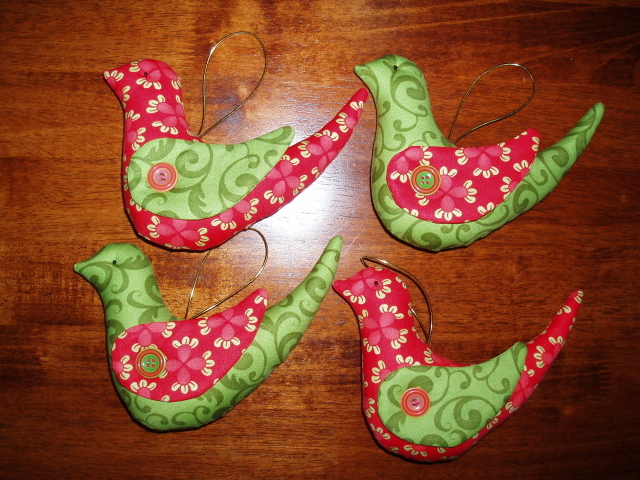 They are great Christmas decorations and are quick and easy to make. 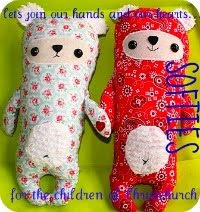 Also make great little gifts too. 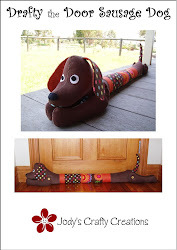 I made a tutorial for these last year - so if you want the pattern and steps on how to make it you can find the link on the right hand side of this page. Jody you have been very busy,love your projects,well done on your finishes.